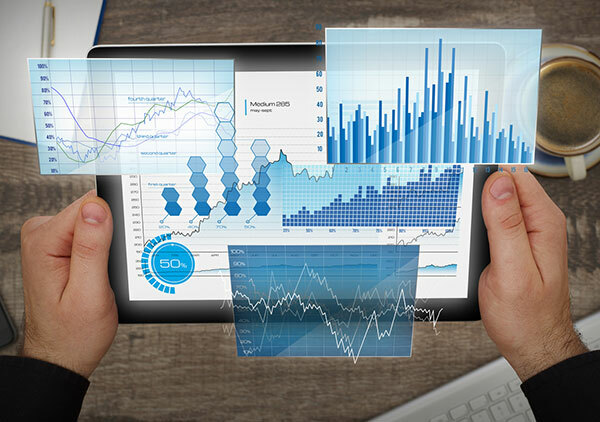 Many customers have implemented OBIEE as a stand-alone on-premises reporting solution or as part of their Enterprise systems for years to author, manage, and deliver reports and critical business documents as it provides rich end-user experience and is easier for ad-hoc query and analysis. Here we discuss, why customers need to migrate to Oracle Business Intelligence (OBIEE) and how automation can speed up the process while preserving the functionality of the original Hyperion/Brio reports as is and provide capacity to standardize. Oracle Business Intelligence (OBIEE) is an enterprise reporting solution. It is available as on-premise solution as well as cloud-based reporting called BICS (Business Intelligence Cloud service). OBIEE separates the data extraction process from the report layout, which enables customers to easily create a complex set of reporting, dashboard, and scorecard. BI Answers reports can be generated in many formats (PDF, Excel, HTML, and so on) in many languages. You can also create lightweight interactive management reports by use of highly intuitive drag and drop style web-based layout editor. Comprehensive BI functionality – Full ad-hoc queries and analysis and includes interactive dashboards. Separate data logic, layout – which is easier to maintain and provides greater flexibility and reuse. Better Managed – BI Answers can have multiple layouts on a single dashboard, thereby reducing the number of reports. Highly formatted and interactive – Users can view a report in interactive mode for lightweight analysis and features such as rich visualization, interactive dashboards, a wide range of charting options, OLAP style interactions provides an outstanding end-user experience. Improved performance – It is based on the W3C XSL-FO standard and can handle extensive data. Flexible layout editor – Helps you to easily create analyses or dashboard reports directly in a web browser. Connectivity to any data source – You can create reports from virtually any data source with a JDBC connection. Scheduling and bursting – Schedule a single report (with personalized content) to be delivered to multiple destinations via multiple output formats. Role based security – All levels of the organization can see information optimized for their role. Spatial Intelligence via Map-based Visualizations – Allows users to visualize their analytics data using maps, bringing the intuitiveness of spatial visualizations to the world of business intelligence. Enterprise BI platforms use a variety of reports and analysis that can affect the migration approach. The reports can be migrated in a big bang or a phase-wise or a business-wise approach. The high-level migration strategy needs to be defined for an effective reports migration. Analysis – In the analysis, the existing Hyperion/Brio reports are understood from a technical and functional perspective along with the possibilities for customization and consolidation. There could be substantial manual effort and time involved to compare and analyze an extensive list of reports. DataTerrain automated report conversion tool has built in the logic and criteria to compare the reports from a large set of reports and provide insight into similar reports that could be consolidated and also the complexity of the reports, which could be done in minutes saving cost and time. Solution definition – A high-level migration approach is defined. The pilot reports and the proof of concept for migration and validation are finalized. The target environment is set up. Migration – The existing Hyperion/Brio query model will be converted to RPD. The automation tool merges information about database schemas (the Physical Layer found in an RPD) with the Query Request model and reporting information found in BQY files to create Business and Presentation Models for an OBIEE Repository (RPD file). Similarly, the Hyperion/Brio layouts are converted to an OBIEE Answers Reports, and the Dashboard/Reports are uploaded to the OBIEE server using the automation tool. DataTerrain automation tool understands OBIEE migration with both the Hyperion/Brio code and Oracle BI Answers code and is hence able to map the features one-to-one and convert the reports in a fraction of time the manual effort takes. The reports are validated and moved for further testing. Rollout – The migration activity is performed in a development environment. Once the validation is completed, the reports would be moved to a Pre-production environment for Business user acceptance and should be moved to production on their sign-off. DataTerrain adds value to each stage of the migration through the automation, and best practices from analysis phase where each report is analyzed for all the elements to determine the complexity and migration issues upfront, to migration and rollout phases were the conversion time drastically reduced using the automation tool. Migration from Hyperion/Brio reports to Oracle Business Intelligence (OBIEE) can be achieved by an automated process. A thorough understanding of the drivers for the migration and the pros and cons of each migration scenario will help plan and define the migration approach. Deploying Automation tools not only brings in the advantages of speed, costs, and quality but also preserves years of efforts in designing the report sections/layouts when migrating to Oracle BI (OBIEE) reports. If you are interested in learning more about how automation can streamline your organization, contact DataTerrain through our website or call 650-701-1100.